In 2009 Ares Kingdom began working out a cover of “Die By Power” by Slaughter Lord. Showing his support for this endeavor, former Slaughter Lord drummer, Steve Hughes, sent Ares Kingdom the previously unpublished lyrics for the track. This process catalyzed a series of other cover tracks for what would later become “Veneration.” The tracks selected for inclusion on “Veneration” reveal the ancestral blood that led to the development of Ares Kingdom’s style. Like a genetic code passed down, but still recognizable through generations, the influence of bands such as R.U. Dead, Mefisto, Sacrilege, and especially Slaughter Lord is prominently reflected in the bloodline of Ares Kingdom. Thus, covering these bands amounts to a sort of praising of the elders that brought the band into being. 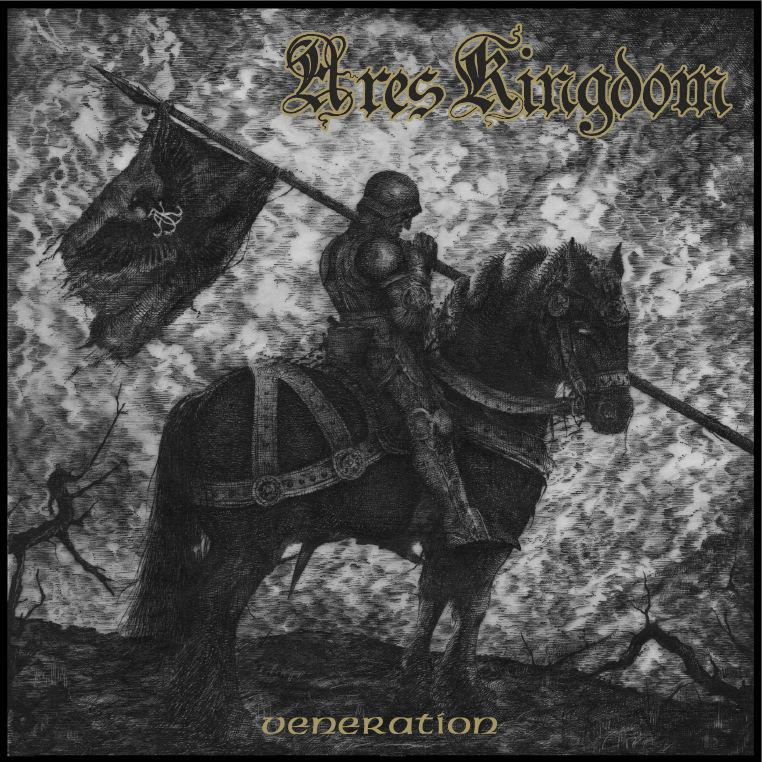 Even more fascinating is the inclusion of tracks originally recorded by Vulpecula and Nepenthe – bands that were the direct antecedents of Ares Kingdom. Historically cover songs have often been throwaway tracks for comps or split releases. The common result is generally little more than a failed attempt at mimicry. In the hands of veterans like Ares Kingdom, however, performing a cover song is not hollow reverence. Instead, it is a salute by one group of masters to their peers. 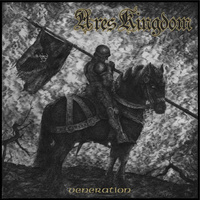 Unlike other “tribute” albums, this compilation is successful as a whole because the songs are suitably chosen, and while Ares Kingdom demonstrate their fidelity to the original versions of these songs the recordings on “Veneration” nonetheless bear the band’s unmistakable imprint. In addition to the aforementioned Slaughter Lord track, Ares Kingdom take on six others. Sacrilege’s “The Captive” from the band’s 1987 masterpiece, “Within the Prophecy,” is every bit as raging in Ares Kingdom’s hands as is the original. Sweden’s evil pioneers Mefisto (which Chuck Keller describes as “Sweden’s best metal export apart from Bathory”) also get a nod with a cover of “Act Dead” from the Mefisto’s 1986 “Megalomania” demo. Ares Kingdom even deliver a ferocious cover of “When Your Heart Turns Black” by Germany’s R.U. Dead?. Finally, Ares Kingdom show deference to their immediate predecessors through newly reworked versions of tracks by Alex Blume’s old band, Nepenthe, and a track by Chuck Keller’s previous interstellar Black Metal project Vulpecula. The Nepenthe song chosen for inclusion here, entitled “Oblivion,” was previously only released on a live tape from 1995 and features lyrics borrowed from Charles Baudelaire. Sigh’s Mirai Kawashima provided a keyboard intro to the Vulpecula track “Celestial.” Exercising total control over the presentation of the album, Ares Kingdom recorded, produced, mixed and mastered “Veneration” from its own Very Metal Sound studio, and the band worked closely with Manuel Tinnemanns (know for his artwork for Pentacle, Deathspell Omega, and Bunkur among others) to create the artwork. The cover features an interpretation of a Fritz Boehle illustration, originally used for a First World War propaganda poster, and sets the reverential tone of the entire release.